Multiple Prize Giveaway From Ting Featuring $100 And Moto G5 Plus, You Don’t Need To Be A Customer To Win! Sprint and T-Mobile MVNO Ting is currently running a promotional giveaway and it's pretty easy to enter. 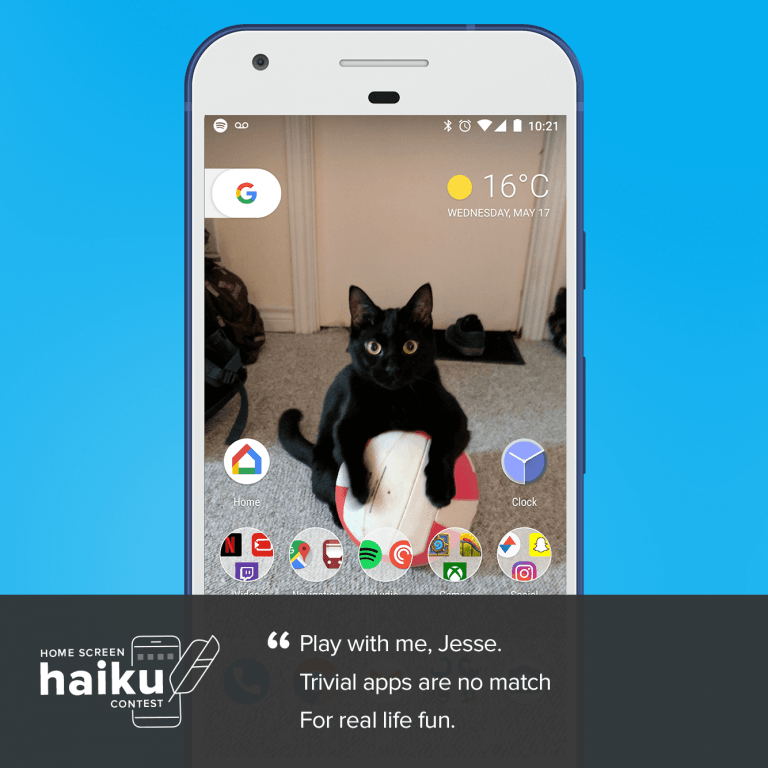 To enter, simply take a screenshot of your home screen and send it over to Ting describing it in Haiku. For those of you who don't know what Haiku is, it means you will have to write a short poem consisting of three lines. The first and third line must contain five syllables and the middle line must contain seven. It does not have to rhyme. By entering, you'll have a chance to win one of 4 weekly $100 account credit giveaways, or the grand prize, a Motorola G5 Plus which is currently valued at $299. Weekly winners will be announced on Mondays. The contest will run through May 31st and there have already been two $100 winners announced. Ting has created a contact form that you can fill out to send your submissions in. You do not have to be a subscriber to Ting in order to enter this contest, but you'll have to become one to claim the $100 prize if you were to win that. Ting is an MVNO whose claim to fame is that it offers customers the ability to custom build their own phone plans. Subscribers can choose a data only plan, a voice only plan, a text only plan or any combination thereof if they so choose. The average subscriber pays $23/month for service through Ting, and plan pricing start at $9/month. Although they are not the cheapest carrier around, Ting consistently ranks high in customer satisfaction in various studies such as those conducted by Consumer Reports.